Hire a virtual assistant now! Planning to expand your business, but don’t have enough resources & budget? 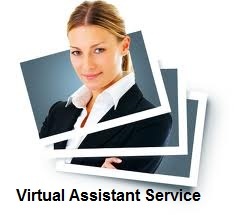 Our virtual assistants are capable of accomplishing any task that is assigned to them. 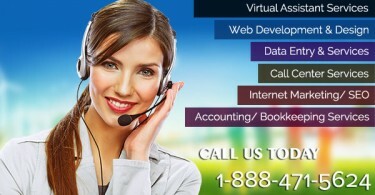 Virtual assistants provide remote support to clients at affordable rates starting at $6 hour. If you don’t have the budget to employ people and invest in infrastructure, you should hire virtual assistants and rest will be taken care by the assistant. You just need to pay thelow amount and we will work for 24/7 as per the need. A virtual assistant can handle your daily tasks such as clerical, scheduling, and technical aspects that will keep your business operating smoothly. With the help of theinternet, virtual assistants can handle awide variety of tasks from anywhere. Do not wait; Hire your very own virtual assistant today to handle your tasks. Call us on our toll-free number at 1-888-471-5624 x 1 (for sales). E Virtual Services LLC is a virtual assistant company which offers quality virtual services clients. Our client base is spread across the world covering USA, UK, Canada, and India. Get started now with a 5-hour free trial! Call 1-888-471-5624.